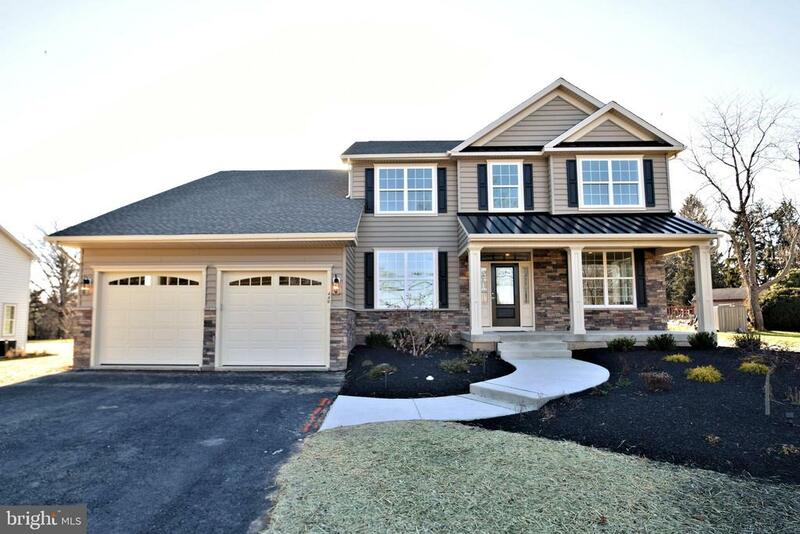 All Churchville homes currently listed for sale in Churchville as of 04/21/2019 are shown below. You can change the search criteria at any time by pressing the 'Change Search' button below. "QUICK DELIVERY! Introducing Russell's Corner, 5 Beautiful Luxury Single New Construction Homes located in the heart of the Council Rock School District, from $689,900. Featuring Formal Living Room and Dining Room, Office/Library, 4 Bedrooms, 3.5 Baths, Gourmet Kitchen w/ Center Island, Quartz Tops, Stainless Steel Jenn Aire Appliances, Impressive and Plentiful Crown Moldings throughout, Wrought Iron Railing Staircase, Classic Hardwoods, FamilyRoom Fireplace, Spacious Bedrooms and Luxurious Baths, Large Mud Room Entry, 2nd Floor Laundry, Two Car Garage w/ Plentiful Storage Space, Two Zone High Efficiency Trane Heat/AC on over ~ Acre Landscaped Lots. Brand New Floor Plan for Maximum Entertaining! Now Completed and ready for Quick delivery, the House on Lot 2 features an Expanded Kitchen/Morning Room and a whole host of options and upgrades. 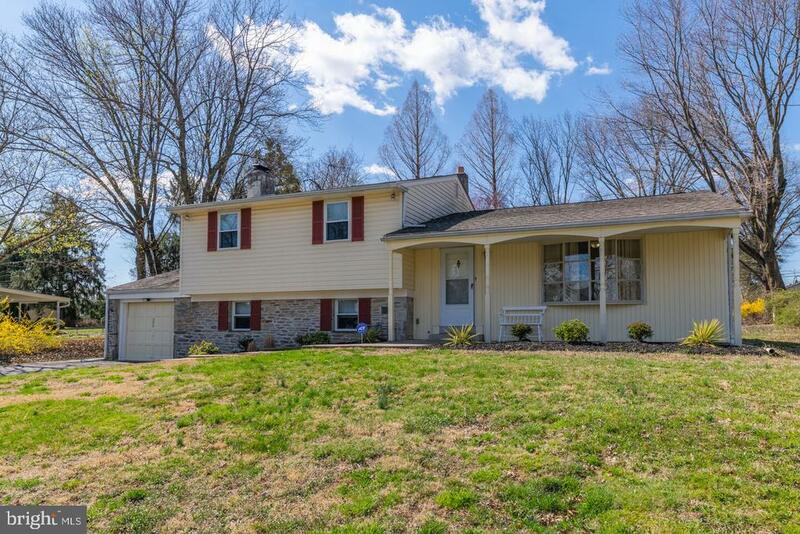 Great location just minutes to Richboro, Newtown and Southampton. Local Bucks County based Builder w/35 years' experience and Sterling Reputation. Schedule your Tour Today and Get Ready to Move Right in!" "QUICK DELIVERY! Introducing Russell's Corner, 5 Beautiful Luxury Single New Construction Homes located in the heart of the Council Rock School District, from $689,900. Featuring Formal Living Room and Dining Room, Office/Library, 4 Bedrooms, 3.5 Baths, Gourmet Kitchen w/ Center Island, Quartz Tops, Stainless Steel Jenn Aire Appliances, Impressive and Plentiful Crown Moldings throughout, Wrought Iron Railing Staircase, Classic Hardwoods, FamilyRoom Fireplace, Spacious Bedrooms and Luxurious Baths, Large Mud Room Entry, 2nd Floor Laundry, Two Car Garage w/ Plentiful Storage Space, Two Zone High Efficiency Trane Heat/AC on over ~ Acre Landscaped Lots. Brand New Floor Plan for Maximum Entertaining! Now Completed and ready for Quick delivery, the House on Lot 1 features a Walk - Up Basement and a whole host of options and upgrades. 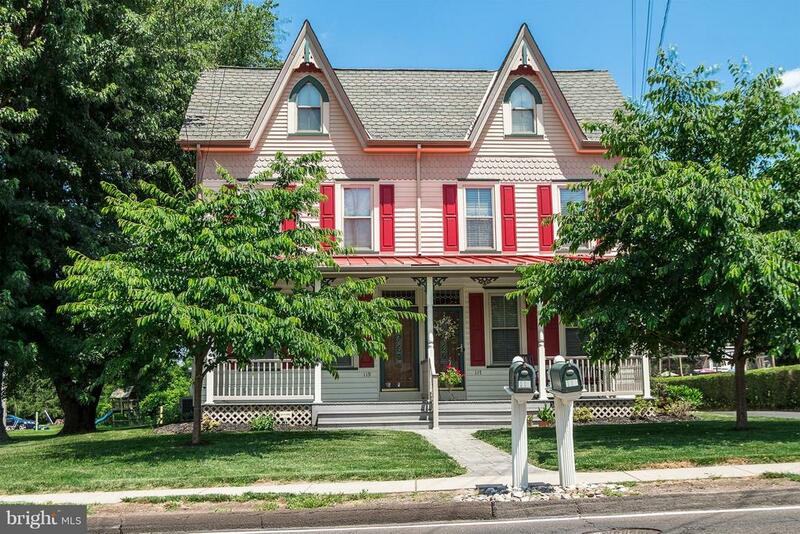 Great location just minutes to Richboro, Newtown and Southampton. 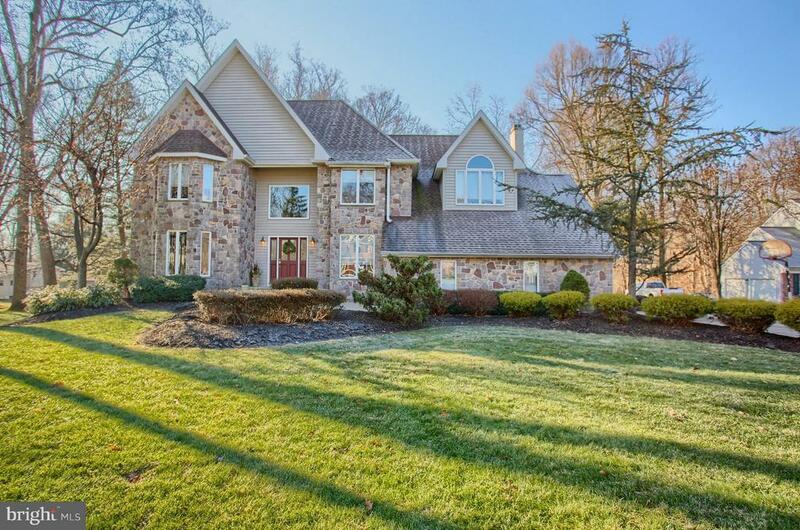 Local Bucks County based Builder w/35 years' experience and Sterling Reputation. Schedule your Tour Today and get Ready to Move Right in!" 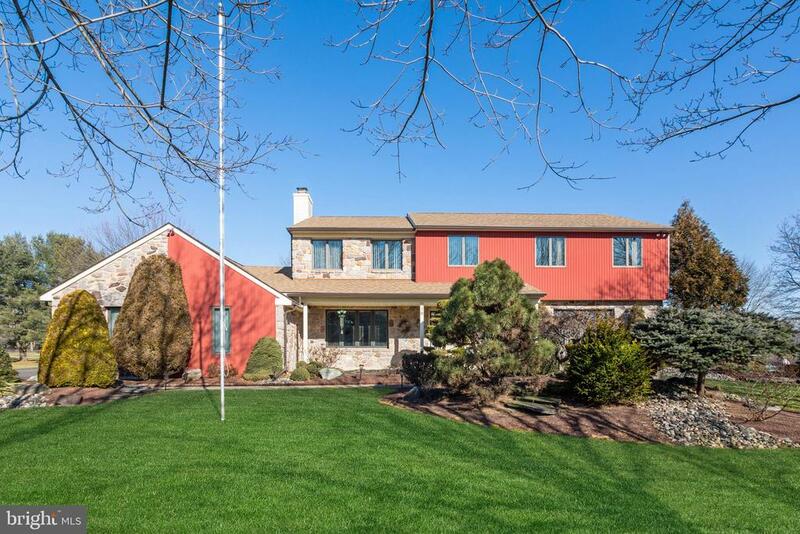 "This Bucks County Field Stone Sprawling Rancher is Unique in Every Way. One of a Kind Floor Plan. 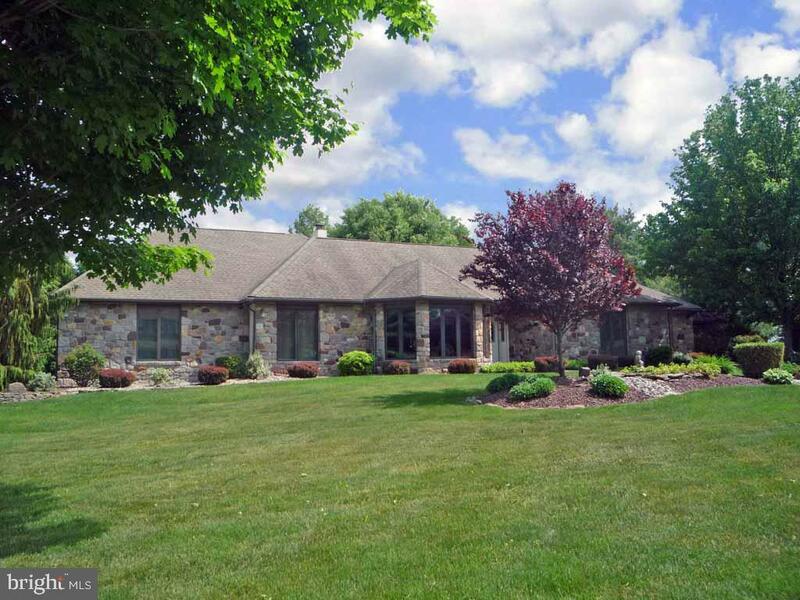 Features include Floor to Ceiling Stone Fireplace in Great Room, Stone Walls in Family Room, Kitchen & Atrium. Hardwood Flooring Throughout except one Bedroom and Hall. Third and Fourth Bedrooms are presently used as Offices. Over sized Laundry Room is adjacent to Master Bedroom and outside access to Deck and Hot Tub. Other Bedrooms have Private Full Baths and Large Closets. Very Large Windows throughout the home which provide for an outdoor feeling. A true Open Floor Plan which is Great for Entertaining. Huge Flagstone Patio and Electric Retractable Awning. Beautiful Flagstone Front Walk and Extensive Gorgeous Landscaping. Over Sized Driveway with additional tucked away Parking area. There is a Three Car Side Entry Garage which provides access to Basement. Please know to purchase an acre of Ground and build an almost 4000 sq ft Rancher with an enormous amount of REAL STONE and Large Windows would be very costly. Great Lot with Private Park Like Back Yard. Most Furniture is available for sale as well. This is a must see and there are too many amenities to List." 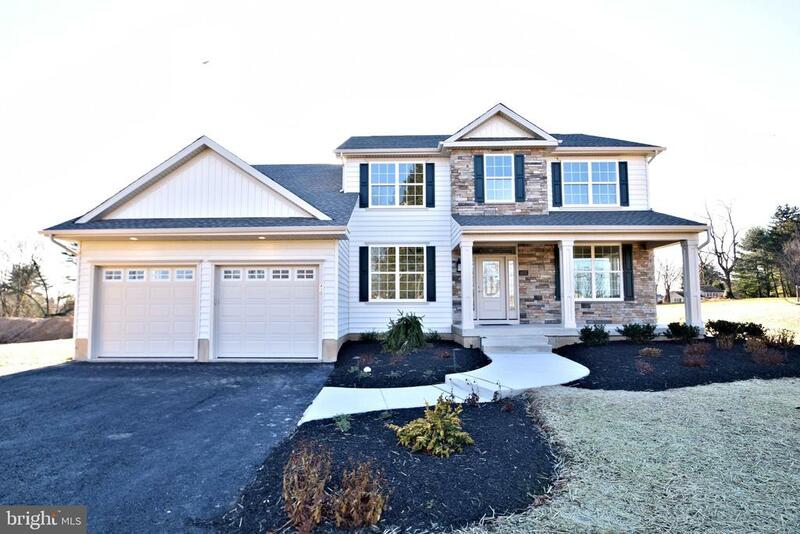 "Introducing Russell's Corner, 5 Beautiful Luxury Single New Construction Homes located in the heart of the Council Rock School District, from $689,900. Featuring Formal Living Room and Dining Room, Office/Library, 4 Bedrooms, 3.5 Baths, Gourmet Kitchen w/ Center Island, Quartz Tops, Stainless Steel Appliances, Impressive and Plentiful Crown Moldings throughout, Classic Hardwoods, Family Room Fireplace, Spacious Bedrooms and Luxurious Baths, Large Mud Room Entry, 2nd Floor Laundry, Two Car Garage w/ Plentiful Storage Space, Two Zone High Efficiency Heat/AC on over one half acre Landscaped Lots. Brand New Floor Plan Perfect for Entertaining! Great location just minutes to Richboro, Newtown and Southampton. Local Bucks County based Builder w/35 years' experience and Sterling Reputation. Lot 3 Delivery for Spring 2019." "Welcome to this custom built 4200 +sq foot home situated on a private wooded lot at end of cul-de-sac in award winning Council Rock Schools. Features include high vaulted ceilings, Huge Kitchen with Birch Cabinets Granite counter tops, center island and wet bar. Family room has floor to ceiling fireplace and overlooks a sunken sun room with with cathedral ceilings a wall of windows over looking the patio and gardens. First floor also offers a office, living room and formal dining room. The walk out basement is finished and has a custom cherry bar, fireplace and media center. Upper floor offers 4 large bedrooms including master bedroom suite. Recent upgrades include Kitchen 2010...Hardwood floors installed March 2016...Heat pumps (3 of 4) May 2012...Master and main baths remodeled June 2012...Roof October 2014 (transferable warranty)..Garage doors 2015..Basement carpets replaced 2013..Custom paint and so much more...A must see"
"This home has something for everyone, whether you like to host pool parties with your friends and family, relax in the heated spa, or sip coffee on the covered rear porch overlooking your private oasis of just under 1.5 beautifully landscaped acres in Green Valley North ~ in Churchville. The appeal of this home starts as soon as you arrive this home with beautiful mature landscaping to view as you as you walk to the covered front porch. The two-story entry has hardwood floors and an elegant curved staircase. To the right is a large formal living room with crown molding, recessed lighting and a large bow window. The formal dining room leads you to the gourmet kitchen with maple cabinets, center island, counters, stainless steel appliances and a breakfast room with sliding glass doors to the covered rear porch. Off the breakfast room is the huge family room which spans from the front of the house to the rear. It features a beautiful stone fireplace, rear atrium doors and steps down to the bonus room/den, perfect for a home office or playroom. Completing the first floor is a powder room, a large laundry/mud room with laundry sink, access to the garage and the side door which leads to the pool area. The second floor features a large main bedroom suite with a dressing area, walk-in closet and completely remodeled private bath with a whirlpool tub, vanity with Corian counters and a beautiful walk-in shower with custom tile work. Three additional and large bedrooms, as well as the hall bath with double sink vanity and tub, complete the second level. The finished basement offers a wet bar, perimeter seating with built-in storage and a pool table (which is negotiable). This is a great space to add a media room, as the speakers are already in place! Continue to the rear yard, where the entertaining continues on the covered rear porch which overlooks the koi pond and fenced pool area, complete with a Gunite concrete inground pool, heated spa and pool house. 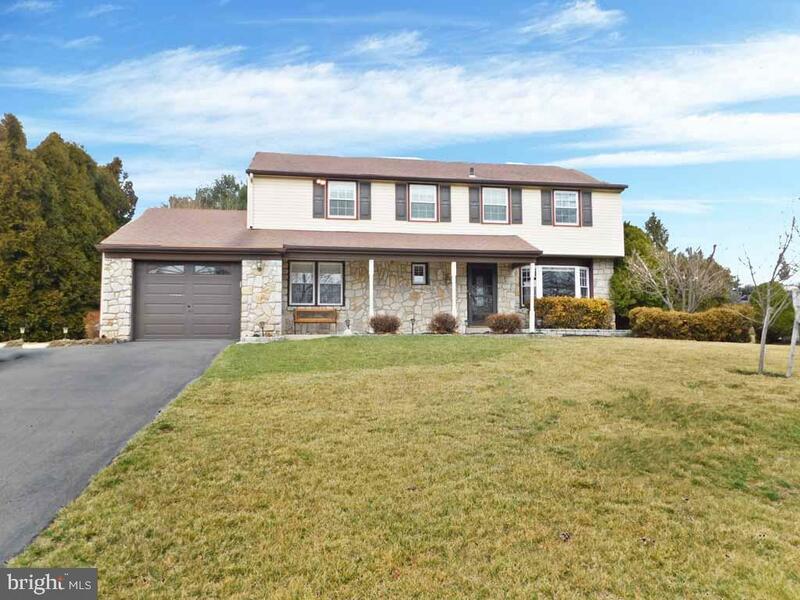 The yard"
"This Beautiful, 10 Year Old 4 Bed 2.5 Bath Home in Council Rock School District Has so Much to Offer. Full Finished Basement with 9 Ceilings. Gourmet Kitchen has a Open Layout that overlooks the Family Room with Built in Fireplace. The first Floor also boasts 2 Story Foyer, Office, Dining Room and Sitting Room with Crown Molding. The Master Bedroom Suite offers a large Sitting area, Walk in Closet and Luxury Master Bath. On the 2nd Floor you also have the other 3 Large Bedrooms with Large Closets. Rear of property has EP Henry Patio with Retaining Walls and Built in Fire Pit. Custom Paint and Carpets Replaced Nov 2017 with Upgraded Stainmaster Carpet and Padding. A Must See School Bus stops Directly Outside Home. Owner is Licensed Realtor." 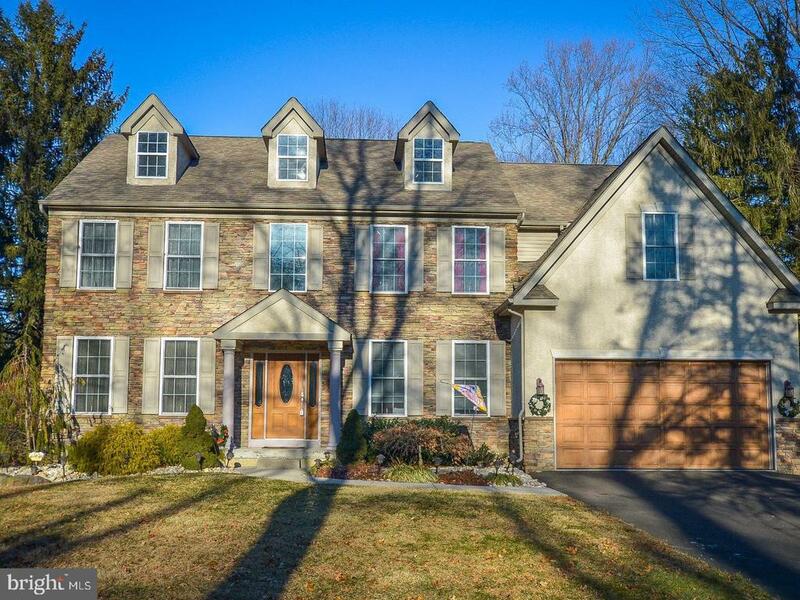 "This spacious colonial style home has been lovingly maintained and features many recent upgrades and improvements. 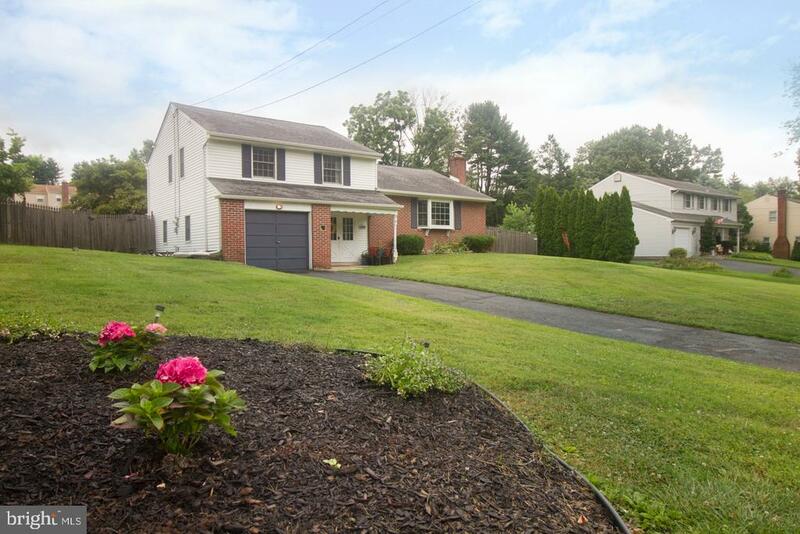 Situated on a beautiful 1/2 acre lot in a convenient Churchville neighborhood close to shopping and local parks. A covered front porch leads to the classic center hall entrance foyer. A front to back living room is currently being utilized as a home office, but would be ideal for large gatherings and entertaining. This bright and airy room has hardwood floors under carpeting. Also off the center foyer is a formal dining room and powder room. The cozy family includes a full wall brick fireplace with gas logs and flows to the newly remodeled kitchen. A sunlit breakfast room is enhanced by sliding doors to the large rear patio. The kitchen includes stainless steel appliances and an abundance of wood cabinets and gorgeous granite counter tops. A laundry room with garage access is located off of the kitchen. The second floor consists of a spacious master suite with dressing area and remodeled bath. The 3 additional bedrooms are exceptionally large with ample closet space. The 3 piece hall bath has been updated with tile floors and walls. Plush wall to wall carpeting in the bedrooms covers hardwood flooring. There is a partial basement with room for storage. Other recent improvements include new windows including slider in kitchen and re-paved driveway. Move-in and enjoy the well-kept home on a beautiful lot in the highly rated Council Rock Schools." "Welcome to 63 Boxwood Rd. This beautiful split level home has been upgraded and updated for your pleasure and convenience. Enter through the tile foyer up to the large living room with a bright bay window and gleaming wood floors that lead to the large dining room, with ample space for holiday dinners. The kitchen is newly updated with a stunning tile back splash, newer stainless steal appliances and a huge skylight that fills the space with natural light. The sun room is excellent for relaxing and entertaining. Down the stairs you find the laundry room, half bath, and a cozy den that leads to a perfect spot for a home office. Upstairs boasts a new hall bathroom that will not disappoint, two good sized bedrooms and the master with it's own en-suite bathroom. Outside is an entertainers dream, a huge fenced yard, paver patio with plenty of space for all and up the hill to the concrete pool that overlooks the entire yard but leaves plenty of room for outdoor activities. A convenient shed makes storage your pool equipment a breeze. Tons off upgrade and updates including Brand New HVAC and newly refinished Real Hardwood Floors. Don't miss your chance to call it home!" "Don't miss this beautifully updated 3 bedroom, 1 1/2 bathroom, split-level home, situated on almost 1/2 acre in desirable Council Rock SD. Enter from the adorable covered front porch and notice the gleaming hardwood flooring that flows throughout the main and upper levels. The eat-in kitchen was updated just a few years ago with new white cabinets, granite countertops and stainless steel appliances. The updated and spacious tiled hall bathroom houses dual sinks and tub/shower combo plus access to the master bedroom. All three bedrooms are located upstairs and all feature ceiling fans and ample closet space. The lower level is home to a sun-lit family room with wood flooring and a cozy stone fireplace. There's also a convenient powder room on this level with beautiful wood-look tile flooring plus a large laundry/storage/mudroom with access to both the attached garage and the rear covered patio. The rear yard is oversized and perfect for your summer entertaining. Storage won't be a problem here with 2 separate sheds (riding mower included), plus crawl-space and attic access. You'll be delighted to find that all of the major work has been done for you - new roof, new windows, new HVAC system (gas heat and central air), plus a new water filtration system and softener. Unpack your bags and move right in!" "Charming Victorian Twin! Total Renovation completed in 2010! This Owner spent special attention to detail when completing. Upgraded T/O You will not be disappointed this Twin is a rare find! Freshly painted t/o! Lets start with the Front Covered Porch, Trex and Metal Aluminum Roof, enter into a generous size Living rm. with lots of windows, Crown Molding, s/t into large dining rm., with hardwood floors which opens right into the updated kitchen, ceramic tile floor, granite, ceramic tile backsplash, stainless steel appliances, Brand New Smooth Top Stainless Steel Stove, sliding glass doors to Trex Deck. 9 ft ceiling on the first floor! Powder rm. and Convenient First floor Laundry rm. with a backdoor and Brand New Storm Door. Second floor offers a huge Master Bedroom with a walk-in closet, private access to full hall bath with separate shower and tub. Good size second bedroom on to the third floor offering 3rd bedroom!! Full unfinished basement walk-out. 2 Car Detached Garage complete with electric and a side door entrance."